Have you always wanted to do a long-distance bike ride, but never thought you could make it? Well, so have many past Harbor to the Bay participants who until joining the ride had never ridden more than 10 miles! You can make an impact and raise money for AIDS Action Committee by participating in Harbor to the Bay and celebrating your accomplishments as you cross the finish line. Since 2003, Harbor to the Bay’s enthusiasm and grassroots focus has resonated with local supporters and community members—over $5 million has been raised for four local HIV/AIDS organizations. Learn more at www.harbortothebay.org, and be sure to select AIDS Action Committee as your beneficiary when completing the registration process. 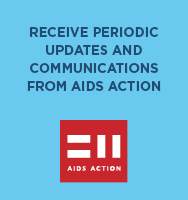 When you choose AIDS Action Committee as your beneficiary, 100% of the pledges you receive will be donated to us. Interested in riding or volunteering along the route? We’d love to answer any questions you have! Contact Danny Edwards at dedwards@fenwayhealth.org or 857.313.6730. To help you reach your fundraising goal, we’ve put together a handy H2B Fundraising Toolkit just for AIDS Action riders. In it you’ll find tips about how to solicit donations via email and letters, as well as social media. AIDS Action Committee and Harbor to the Bay have some great fundraising incentives to thank our dedicated riders and volunteer crew members for their efforts. AIDS Action provides each rider that reaches the $1,000 milestone, and has selected AIDS Action as their beneficiary, two complimentary tickets to Taste of the South End, which will be held in the Spring of 2019. AIDS Action Committee and Harbor to the Bay have some fantastic training rides to help our riders and volunteer crew members as we prepare for Ride 16. Make sure to follow AIDS Action and Harbor to the Bay on Facebook and Twitter to stay up to date on logistical information, fundraising resources, training rides, and all of the other great things that are being planned for the 16th annual Harbor to the Bay charity bike ride.